The Loudoun County Sherriff’s Office is investigating a pair of robberies at Sterling pharmacies Nov. 20.. The Loudoun County Sherriff’s Office is investigating a pair of robberies at Sterling pharmacies today. The first attempted robbery happened at 11 a.m. at the Rite Aid store in Cedar Lake Plaza. The man handed the pharmacist a note that implied he had a gun. The note demanded prescription medication. The suspect, who left empty handed, was described as wearing sunglasses and a “Make America Great Again” hat. An hour later, the CVS store on Enterprise Street, the same suspect again handed the pharmacist a note implying he had a gun and demanded prescription narcotic medications. The suspect was given prescription medication before fleeing. 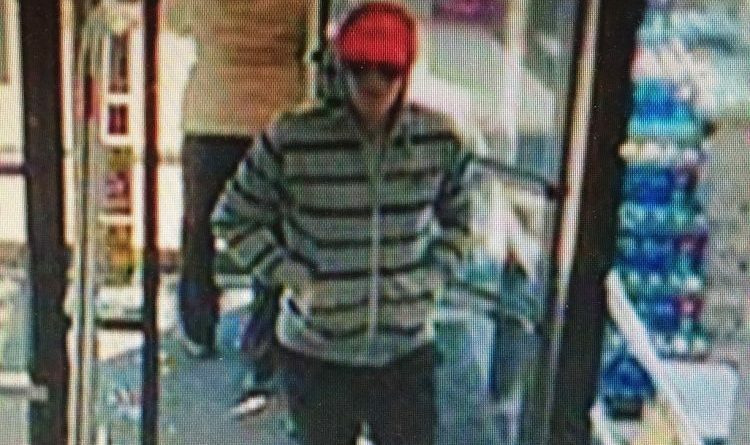 The suspect is described as a white man and was wearing a white hooded sweatshirt with black stripes, a red baseball hat with a “Make America Great Again” emblem, sunglasses, black pants and black shoes. Anyone with any information about the cases is asked to contact Detective M. Bush at 703-777-1021. A tip can also be submitted through the Loudoun County Sheriff’s Office app.